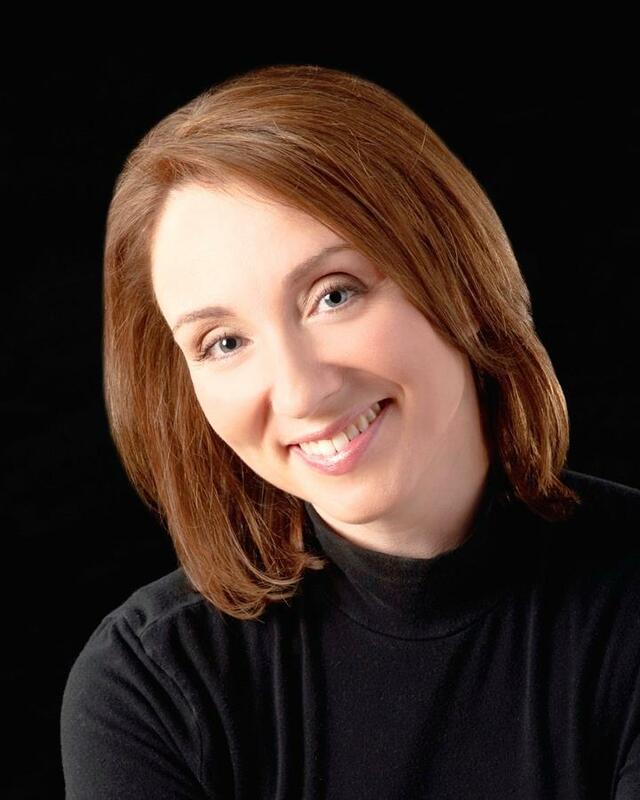 Stasia Ward Kehoe has authored two YA novels, Audition (Viking 2011) and The Sound of Letting Go (Viking 2014). 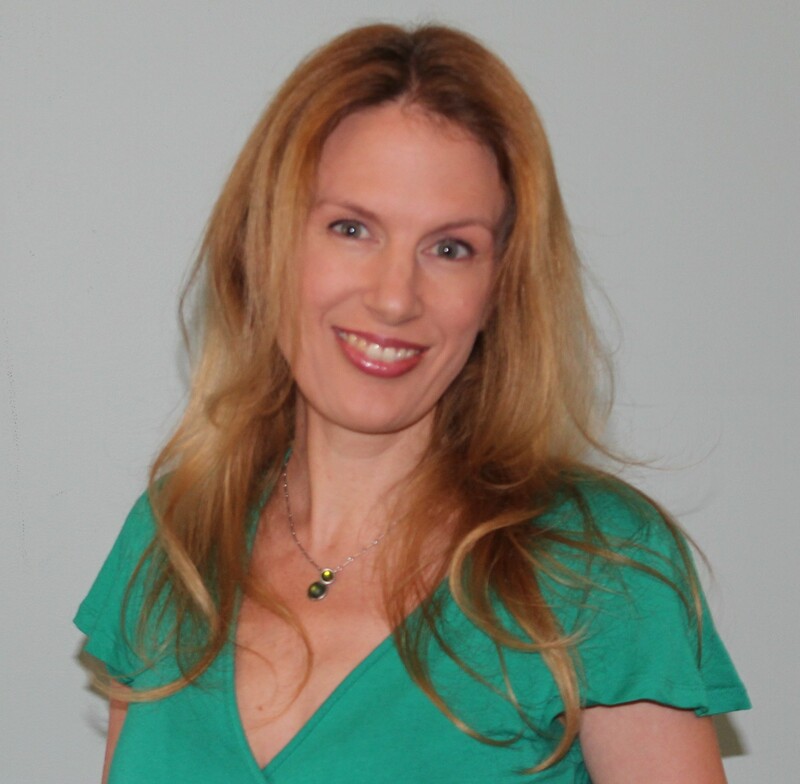 As a freelance marketing writer, her clients have included Random House, Simon & Schuster, Rodale Press and Tor Books. She collects first editions of Noel Streatfield novels and dreams of having bookshelves in every room of her Pacific Northwest home. Stasia is the mother of four sons, currently a college sophomore, high school senior, eighth-grader and third-grader so, naturally, a great deal of her non-writing time is spent laundering socks. My childhood dream was to be a ballerina so my creative focus didn’t turn to the page until college where I wrote in many genres: plays, mysteries, short stories. After graduate school, I got a job in educational marketing at Random House and found myself drawn to the work of Philip Pullman, Suzanne Fisher Staples and Louis Sachar. But the term YA hadn’t been born, nor had my kids, so there went a decade. Don’t get me wrong, I was reading, writing, occasionally submitting work and getting polite rejection letters, but I wasn’t serious. Then, in 2009, I took a workshop with Ellen Hopkins and discovered my passion for the verse form. By 2010, I had completed Audition. I sent out about ten query letters and got four or five offers of representation within a couple of weeks. The manuscript sold quickly. So, you know, I was an instant success if you don’t count the twenty years before the great two months! 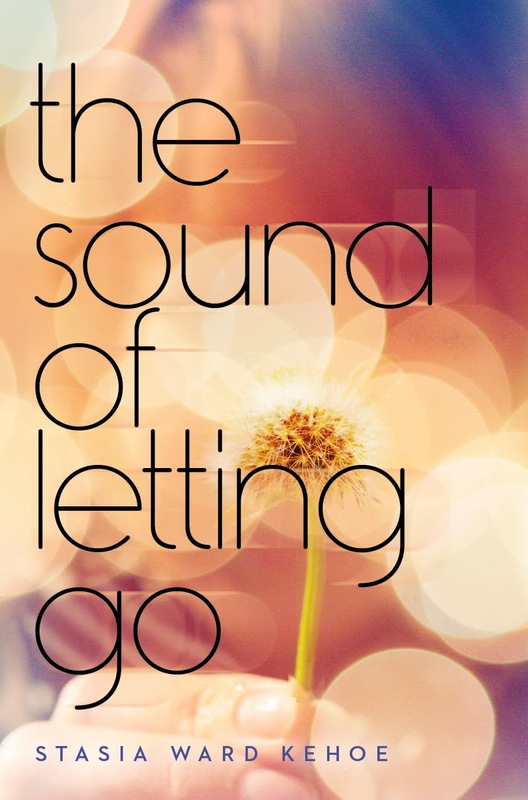 The Sound of Letting Go is the story of teen musician Daisy whose little brother has autism. Her parents need her help, so she breaks away from her friends and resists bad-boy Dave’s attempts to get closer. This topic is close to my heart because I grew up with a sibling who had emotional struggles requiring a lot of my parents’ time, which made me jealous. It wasn’t until adulthood, parenting my own kids, that I saw the truth of my parents’ great concern for my sister’s future, and their pride in my independence. I hope this book will be meaningful to any reader whose family is dealing with illness, disability or other stress and how it impacts daily life and future dreams. The novel is a Junior Library Guild YA selection, received a Publishers Weekly star, and was featured on the Autism Speaks website. Future-wise, I just sent my agent a crime story in verse with multiple narrators. Sounds crazy, huh? But I find that with writing, the best thing to do is let your gut lead you. 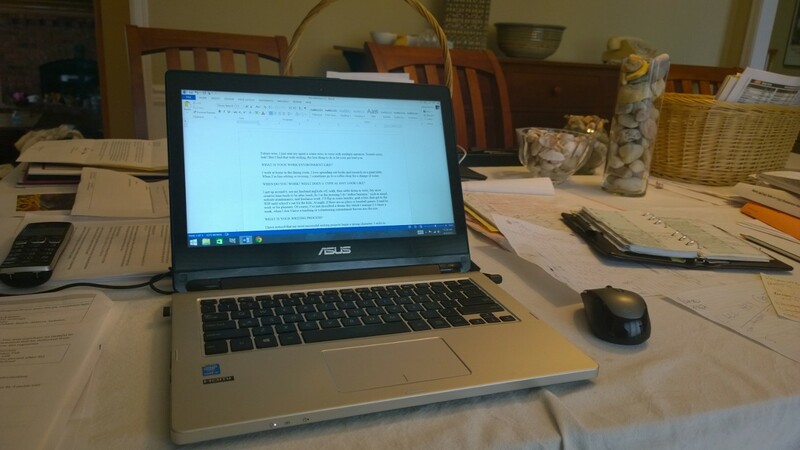 I work at home in the dining room. I love spreading out books and research on a giant table. When I’m line-editing or revising, I sometimes go to a coffee shop for a change of scene. I get up around 6, see my husband and kids off, walk, then settle down to write. My most creative time tends to be after lunch, so I in the morning I do “author business,” such as email, website maintenance, and freelance work. I’ll flip in some laundry, grab a bite, then get to the WIP until school’s out for the kids. At night, if there are no plays or baseball games, I read for work or for pleasure. Of course, I’ve just described a dream day which I manage 2-4 times a week when I don’t have a teaching or volunteering commitment thrown into the mix. I have noticed that my most successful writing projects begin with a strong character. I write in, developing the character’s life and relationships (pages that rarely make it into the manuscript) until I find the plot line I want to explore. Generally, I work in chronological order, from the opening page of the novel to the end, although I keep notes and ideas for scenes or dialogue that I’ll build in later. Thus far, outlines have failed me but I usually have a strong sense of where the story is going to go. After the first draft, I do several revisions, including one where I date stamp every chapter (or verse) and another where I clear out habit words. Rest the manuscript (like bread dough) awhile, revisit, revise, send to trusted beta-readers. Finally, my agent gets a look! Because I can’t stop. Or, I suppose, I don’t want to stop. I think writing is my own personal grasp at immortality, and writer people are my tribe—my community. Why would I stop? My ideas come from the radio, the newspaper, stories my kids and their friends tell around the table, memories… Plus, the most important two words in any writer’s toolbox: WHAT IF…? For me, getting ideas, writing 10-20-50 pages, is not all that difficult. But 200-odd pages into a manuscript, I start to despair. I worry that the idea doesn’t have legs—that it’s too complicated—that it’s not complicated enough. I start thinking about OTHER story ideas or maybe I should marinate some chicken for dinner or is now the time to check out that show Downton Abbey? Self-discipline and courage are my battles. I wish I had understood the difference between publishing a novel and having a writing career. After that first book hits the shelves, you are in a new place, professionally and creatively. There are sales figures to define you. You have positioned yourself as the author of books in a certain genre, appealing to a certain market. So, it’s important to keep your eyes open and make sure your editor understands not just how to position your book for his or her list but for YOUR future goals. Once you clarify your longer term goals, it’s also easier to let go and not sweat the stuff you can’t control. Personally, I want to keep publishing. I want to keep exploring the impact of community and family relationships on the lives of teenagers. I want to push the boundaries of form further than simple verse. Professionally, I worry about the power of metrics and social media. The notion that we have to be able to measure everything, be it via a survey, alignment with Common Core requirements, or a trending hashtag feels dangerous. We are over-focused on seeking “new trends” or declaring certain genres “dead.” A great book is not quantifiable nor will it ever be the perfect book for everyone. Creating a marvelous novel really does require the instinct of a good agent, a good editor, and a ton of indefinable, unmeasurable luck. I’d like the publishing industry, from writers to book designers and everyone in between, to consider their instincts, to work from a place of genuine desire to make the best possible book. If we could do this, maybe everyone would be able to trust each other a little bit more. Iris Murdoch, Jennifer Donnelly, Jacqueline Woodson, Dorothy Sayers, Julie Berry, Jandy Nelson…stop me now! The utterly lovely contemporary YA writer (and school librarian) Jessi Kirby, and the fantastically creative, genre-hopping Martha Brockenbrough. Thank you, Stasia Ward Kehoe!